Five years ago I went to Tehran. During my visit I went to see the former American Embassy, now a museum, which is of course the site of the 1980 Iranian hostage crisis. Iranian militants backed by the government took over the embassy and held the staff hostage for a total of 444 days. During this time the Iranians coined the phrase "den of spies" for the embassy. It is still referred to as this in Iran today. The Iranians accused the Americans of spying on the new regime from the embassy and of conspiring with the ousted Shah and his supporters to return the monarch to power. The above accusation may or may not have been true. However I have a serious issue with the accusation for the following reason. I have known for some time that the Iranian embassy in Dublin is engaged in spying against Irish and Iranian citizens in this country. The principal objective of this is to make note of which Iranian's living here are engaging in anti regime politics. This is reported back to Tehran and the family members of these people are threatened that if their relatives in Ireland don't stop what they are doing, there will be serious consequences. Perhaps a family member who is in prison will have their sentence extended where they will continue to be tortured, or perhaps other family members will find themselves in front of a kangeroo court on some trumped up charge. This is really quite outrageous. In many cases agents of the regime have simply approached Iranians on the streets of Dublin and made it clear that unless they ceased this type activity their relatives back home would suffer. 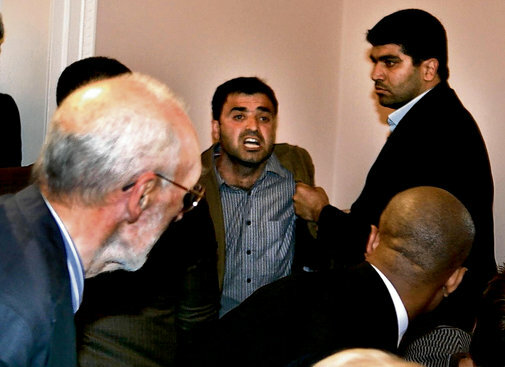 The thuggery of the Iranian officials in Ireland has been highlighted recently when two hecklers, one of them a good friend of mine (Shaho Zamani pictured above) were beaten up by by Iranian security after confronting Foreign Minister Mottaki at the Irish Institute for European Affairs. The incident which I filmed and is up on YouTube has received much attention in the Irish media. Mary Fitzgerald of The Irish Times coveverd the incident in detail. Shaho also appeared on The Wide Angle radio show on Newstalk where he and another Iranian exile detailed the truly unbelievable activitities that goes on in the real Den of Spies in Blackrock. I consider this type of behavior to be a breach of Irish sovereignty by Tehran. Some politicians such as Labour TD Joe Costello have picked up on this. I hope more do. I certainly intend on writing a few letters. I hope the Irish Government make it clear that this type of espionage against citizens of our state will not be tolerated. I can think of one example of where action can be taken. Mary Fitzerald's article detailed the itinerary of the recent visit of Dr Mottaki. He met with Foreign Minister Micheal Martin and Eucation Minister Mary Coughlan. The meeting with the former centred on bilateral relations including trade and the potential for developing stronger education links, with a particular focus on the possibility of increasing the number of Iranian PhD students studying in Ireland. Why would the Iranian Foreign Minister request a meeting with the Irish Minister for Education in order to expediate the process were Iranian PhD students come to Ireland to study. This is a fraud. The PhD students that Mottaki speaks of are not legitimate students. They are in fact spies sent over from Tehran to keep an eye on Iranians living here and to report back on any anti Iran activity. We obviously can't, nor would we want to prevent Iranian students coming here. But it should be made absolutely clear in no uncertain terms that if any of these "students" are found to be engaging in any intimidating or threatening behaviour on behalf of the Den of Spies in Bkackrock, they will be arrested and charged. This is a very good and interesting analysis. There is an organization in our Universities here, the Muslim Student Union, which in some cases has been used by some of these same thugs for their nefarious activities. In our case, the FBI has lately become less and less shy about closely monitoring, arresting and deporting these miscreant bullies. Bullying on campus is where most of the intimidation in Ireland occurs. I am not surprised it is the same in the US even though I'm sure there are probably no Iranian spies in America because of the lack of diplomatic relations. I am always trying to get a feel for the mood of the Iranian diaspora and from what I can gather the Iranian community in the US are quite emphatically opposed to the regime in Tehran. I was lead to believe by a credible source, that the Iranian embassy and their agents are being closely monitored on a daily constant basis, by at least 2 groups, possibly 3, and they dont even know it. They are being spied on while they spy. They are so stupid. Hi Ted, thanks for this post. It was absolutely disgraceful that those Iranian sceret service thugs could assault people like that and get away with it. What I also find shocking was the lack of protesters from women rights and gay groups. The same groups have no problem protesting against Israel while rubbing shoulders with fellow protesters waving Hamas flags. Thanks for the comment. I certainly hope that the Gardai and possibly Army Intelligence are keeping an eye on the Den of Spies in Blackrock. I look forward to the day when their intimidation racket is exposed and they are forced to beg to be allowed stay in Ireland. 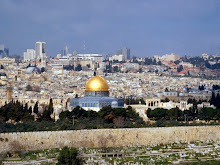 I would also be surprised if the Israelis were not observing the Iranian embassy in some way or another. The Americans too have a vested interest in being aware of the activities of Iranian officals in Europe and probably monitor communications between Tehran and its embassies. Thanks for commenting. I was also outraged by the thuggery of the Iranian officials during last weeks incident. And I too am becoming increasingly angry with the moral cowardice of the left. The Iranian regime is in fact an extreme right wing government that should be detested by anyone who claims to care about workers rights, women's rights, democracy and accountability but as you say, the left are silent on this while constantly flirting with militant elements in the pro Palestinian camp in their efforts to isolate Israel. If the left are opposed to Israel's occupation of Palestine that is fine. But they come across as being utterly without principle when they deliberately ignore the right wing nature and capacity for extreme brutality of militant Islamic states and terror groups. From the moment Iran was put in the spotlight over the nuclear issue, an army of apologists emerged to defend it in the West. Much of it came from the powerful Iranian and Palestinian amen corner in Ireland, including the IAWM, SWP and the Israel-bashers. The first paragraph in your comment is spot on. I think you are being unfair toward Eamon McCann. You will not find anybody more anti communist than me but at least McCann does not disguise his political views as many other "moderate" leftists do. Also, McCann has never held a position of power so he has nothing to be apologetic of. He has never oppressed anyone. I have always admired his contribution to the Northern Irish peace process and particularly his efforts to combat sectarianism. McCann's comments about Iran were certainly clumsy unless he meant that Iran is the most democratic country in the Middle East outside of Israel in which case it is an accurate statement. I have always believed that while Iran poses the greatest threat to the region it also provides the greatest hope. There is a democratic system in Iran. There is a vibrant parliament and a judiciary that is constantly striving for independence. The only problem is as I'm sure you know is that the unelected council of guardians monitors the democratic institutions and prevents any change that they consider to be not in line with Islamic principles. However I think it is important to note that for most Muslim countries in the region a democratic movement would be such a shock to the system that it would likely fail. Iran however appears to me to be the only Muslim country that could actually handle the transition to democracy which if successful could result in the most viable and democratic Muslim state that has ever existed. In addition the Iranian people seem to want it desperately. It is significant that women in Iran have more rights than in the Arab world. It is another indication that it is a country which could become a real country. On the surface I would guess you are probably right about Iranian spies here in the US. I have quite a few Middle Eastern Muslim friends but none of them are Iranian. That said, I think it might be wise not to discount the extent to which the Iranians influence and control groups like Hamas -and they are very active here. What I also find shocking is the silence from the anti-war left since Obama got in. It seems to me that these protesters had an ulterior agenda,i.e.,their hatred of Bush with no real concerns for the victims of his foreign policies. The anti-war left is still quite alive and active here. The reason they have not received as much publicity is the almost unbelievable love affair between the majority of the media and President Obama. The news coverage of anything that reflects badly on Obama for the first 18 months of his Administration was painfully prejudiced in his favor. This has been changing rapidly lately, especially as the environmentalists on the left combine with the majority of the public and increasingly hold Obama responsible for the slow and incompetent response to the oil spill disaster. Slight clarification from my last comment. In the last line I meant to say "It is another indication that it is a country that could become a real democracy". I can respect a far left anti war activist (after all, none of us like war) if they have principles. It is when they excuse and apologise for dictators and terrorists that I lose patients. I have noticed alright that Obama's charm is not working as well as it used to. At this stage in his presidency the American people want decisive action, they will not tolerate his eloquent rhetoric much longer. I think you are spot on. I think Bush was hated not primarily because of what he did, but because he was a White republican from Texas, and an oil man to make things worse. Many many people were never going to give him a chance. And as you say, now that Obama is in power these people are silent on issues that Obama's policy is identical to Bush's. It suggests to me that their problem was Bush, not his policies. I think you're right about Bush, Ted. When he was running in 2000 the European papers had a field day with him. They said he had never been to Europe, for instance, to make him look parochial, even though he had been to Europe over a dozen times. On McCann: I don't want to take anything away from the community-building groundwork he has done in Northern Ireland, but on Israel the man is a conspiratorial Commie nut. Play with the big boys and bad things can happen. What do you call a pro-American regime, democractic? Just because you don't see torture and cluster bombs that doesn't mean it's 'Democracy'. "The Iranian regime is in fact an extreme right wing government that should be detested by anyone who claims to care about workers rights, women's rights, democracy and accountability but as you say, the left are silent on this while constantly flirting with militant elements in the pro Palestinian camp in their efforts to isolate Israel. If the left are opposed to Israel's occupation of Palestine that is fine."